Why why why???? Why have I never read this book before. Of course I had heard of it. I think the title was too similar to the "bell curve" that is made me associate it was an academic text book full of statistics. Boy was I wrong. I was first drawn to this book after reading a little bit of the life and death of Sylvia Plath. She is a well loved poet and her tragic end made me very curious about her and this book. 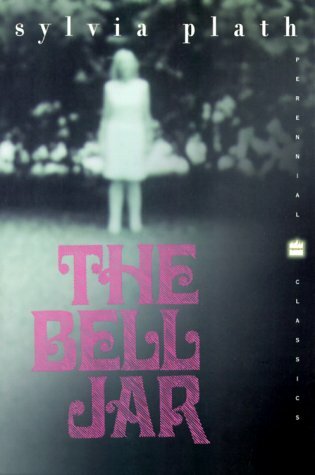 The Bell Jar is said to be semi-autobiographical. What a great story that to me was part Catcher in the Rye and part Girl Interrupted. A very quick read and a very engaging story. I cannot believe this was not required reading in high school or college. Have you read this? What other great American novels are must reads? I haven't read it in years. Catcher in the Rye still mystifies me.